Thank you St.Andrew’s Society of Toronto! We are so grateful to The St.Andrew's Society of Toronto for the generous donation to implement a peer teaching program. It was a pleasure to meet Keith Beveridge today. Thank you! Save the Date: June 20th! for our 25th Anniversary Celebration at OCADU! Help keep this small but mighty program going strong! DIY craft corner, raffles, free snacks, cash drinks, fun music, excellent art, people, and live projections. Fully accessible and welcome to all. 100% of the proceeds will go to Inspirations Studio operating costs. Please join us for tea and treats at our 25th Annual Spring Sale and Open House. at 2480 Dundas St West. We hope to see you then! The cost of the course is $260 (all materials and firing are included). The classes consist of four weeks of making with lots of time on the wheel, and in the fifth week everything is glazed. 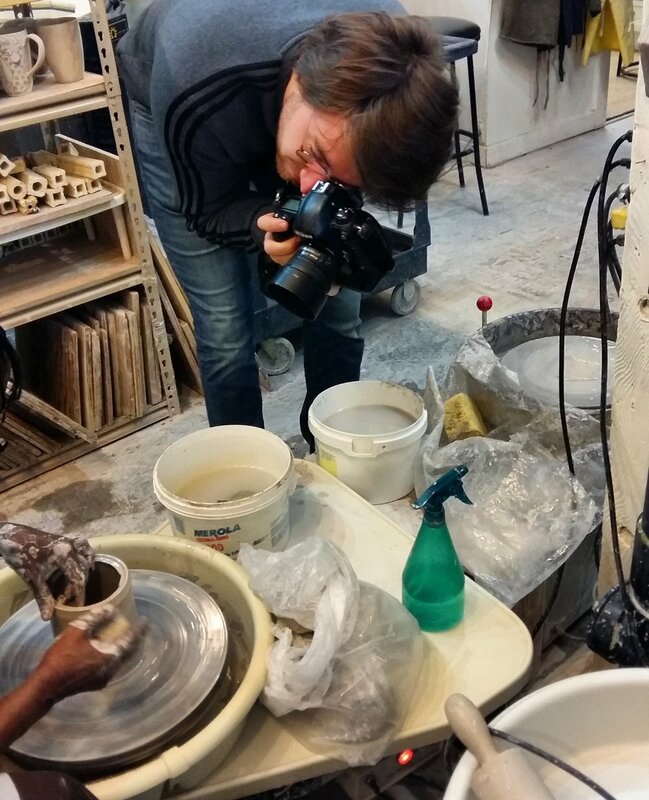 Work will be fired after the last class and we will contact everyone when the pottery is ready for you to pick up. Sunday 12-3 June 2-July 7 (no class june 30). To register please call us on 416 367 2728 between 10am and 4pm from Tuesday to Friday, and we can process payment over the phone. Gardiner Museum trip. Thank you! We had an amazing and inspirational visit to the Gardiner Museum. Thank you! Thank you George Brown Labour Fair! Eight members of the studio made 75 bowls as speaker gifts for the George Brown Labour Fair. Thank you for the support. Please save the date for our Annual Spring event. The members of the studio are working hard to create all new beautiful work. Come have a look! Please join us for new classes starting the first week of April. Tues 6-9 SOLD OUT, Wed 6-9 SOLD OUTand Sun 12-3. Make something beautiful while supporting a good cause! Five week sessions (3 hours each class). Small classes. $260.00 includes all materials. Please call us to sign up at 416 367 2728. Thank you to Toronto.com for once again highlighting Inspirations Studio. Journalist Rahul Gupta and photographer Justin Greaves! !